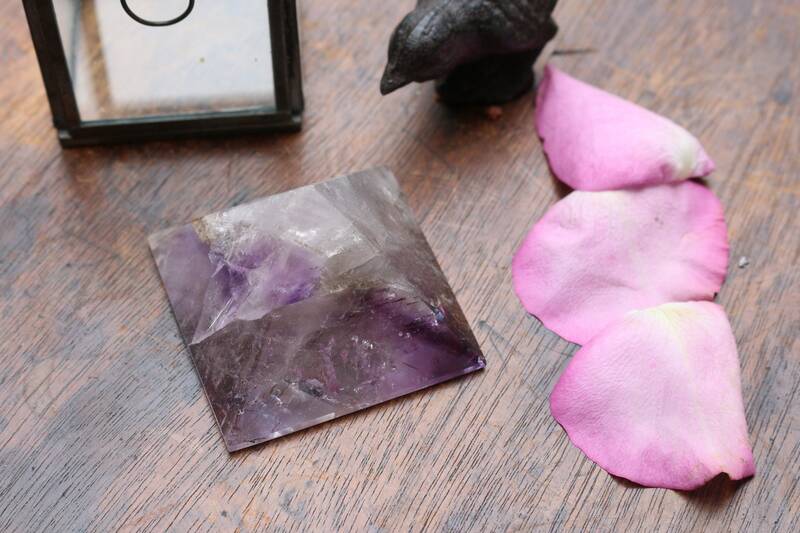 Another exquisite piece from a recently acquired grouping of incredible Uruguayan pieces. 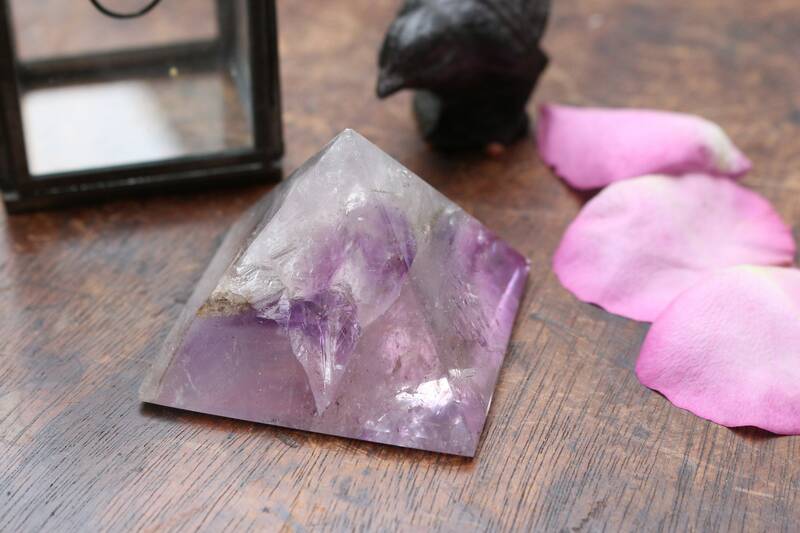 A hand-carved and hand-polished Crystal Pyramid with a fantastic mixture of naturally occurring Amethyst, Smoky Quartz, and Clear Quartz. 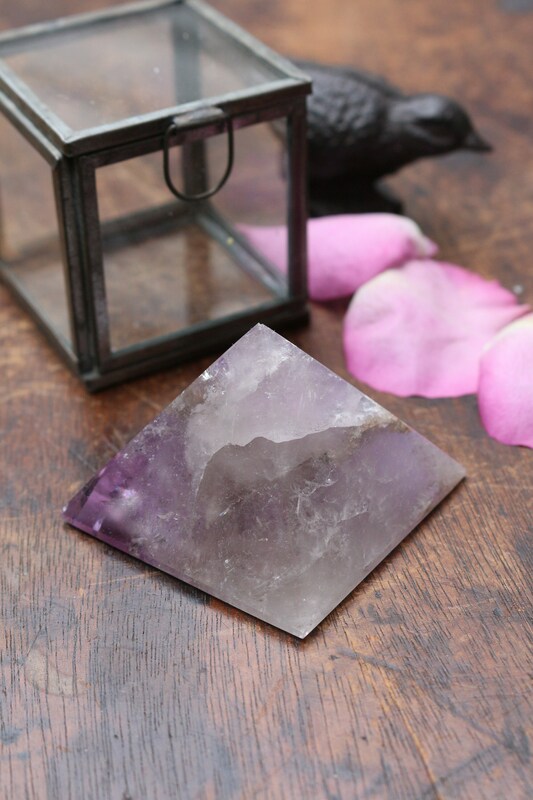 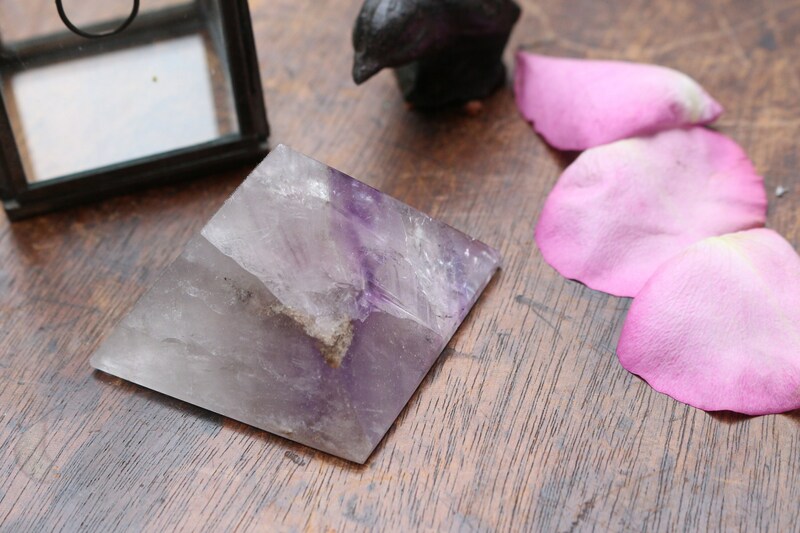 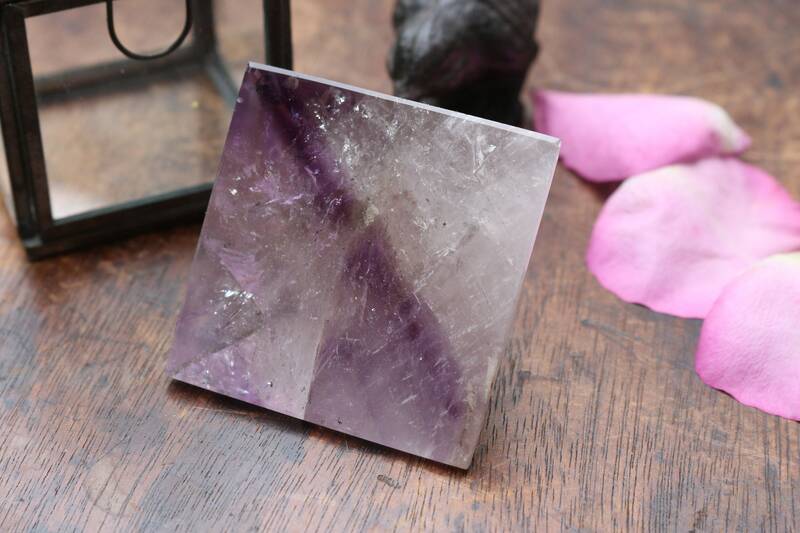 The colors that are present within this crystal range from dark to light purple Amethyst with ribbons of light and dark Smoky Quartz throughout, as well as windows of Crystal Clear Quartz. 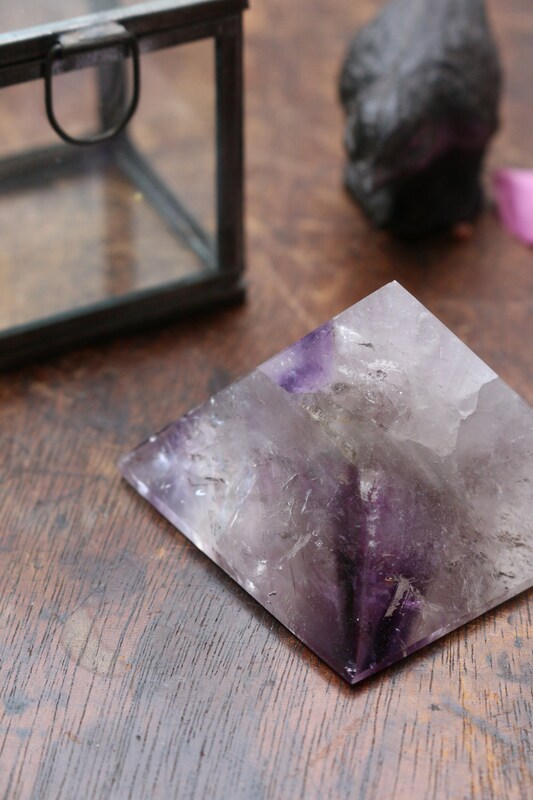 The clarity, color, rainbow landscapes... just beautiful! 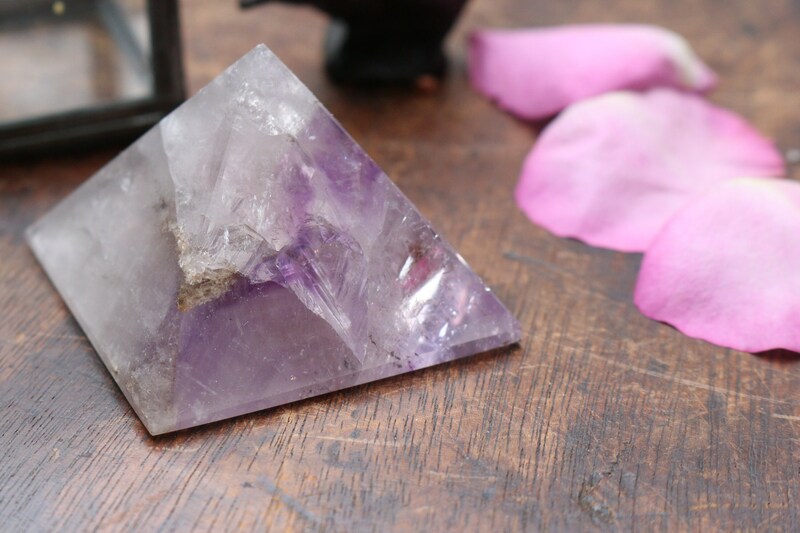 For more pieces (Points, Spheres, Wands) from this lot of hand-selected, Premium Quality Uruguayan pieces, please enter the following in the search bar: "New Uruguayan Amethyst".